Each machine has a switching sequence, if there is nothing wrong operation, it will form a lot of trouble. 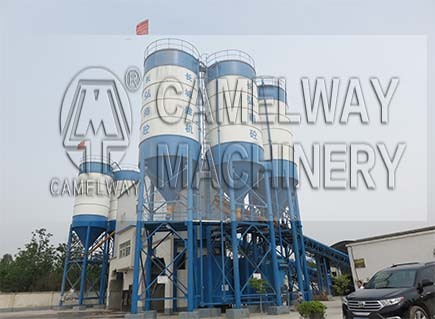 Switching the order of concrete mixing stations are particularly important, if we improperly operate, it will form a concrete mixing plant strike and block the machine. There are many reasons result in machine repair, maintenance and protection. Presented to us today is how to operate concrete mixing station. First, to check a series of accessories before starting concrete mixing station including butter and the oil. View the valve switches before turning on the pump add water – air compressor storage silo door open – open discharge belt – open mixing console – start feeding belt open ingredients (including aggregate, cement) – open the water gate, etc., so this is the view job before concrete mixing station working. Second, that is to say the switching sequence before concrete mixing station start working. Ingredients (containing pellets, cement) off, stop the water supply, feeding off (no deposit on the belt), the main organs off (no mixer tank holding material) discharge conveyor off (no deposit on the belt) storage bin door closed, empty press agencies, stirred tank cleaning , and switch off the closed valve. These are particularly major order. If your operation is wrong, it will cause many problems. When the mixing console is stirring inside you shut it down, the concrete will be blocked in the mixing engine.